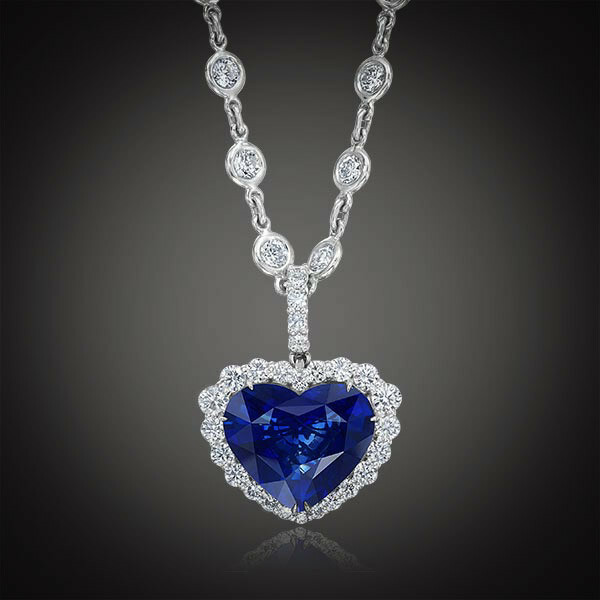 Stun her with the absolute beauty of this heart-shaped pendant by Robert Pelliccia. A mesmerizing 6.49ct blue sapphire in the shape of a heart is set in sparkling 18kt white gold and trimmed with shimmering white diamonds. Place this beauty on your choice of chain (sold separately) to create your desired look. You can wear it long or let it rest at the base of your neck. It's a Robert Pelliccia original will not go unnoticed!